Last month we told you a new compact crossover is on its way from Mitsubishi that will be called the RVR when it goes on sale in Japan. Today the Tri-Star automaker announced that the little CUV will wear the ASX badge in Europe and make its official debut at the upcoming 2010 Geneva Motor Show in early March. We've been told the RVR/ASX will eventually make it to American shores, but whether or not it gets yet another name is up to Mitsubishi. In Europe, the ASX will be offered with a wide array of engines including a 1.8-liter diesel that can be combined with a six-speed manual transmission and what Mitsubishi is calling "Automatic Stop & Go," which we assume is their label for stop/start technology. Considering the CUV's small size and presumably light weight, that combo should yield impressive results at European pumps. 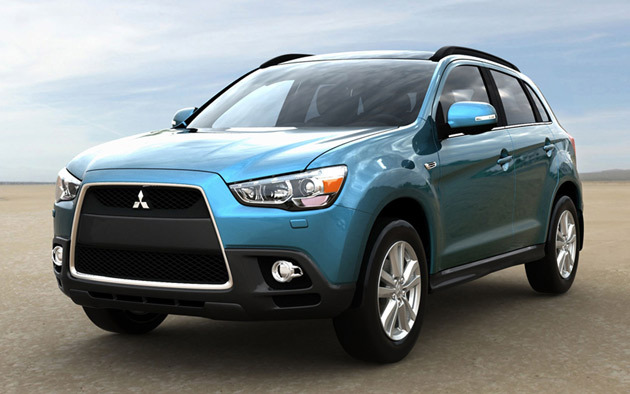 Mitsubishi ASX compact CUV set for Geneva premiere originally appeared on Autoblog on Tue, 19 Jan 2010 10:29:00 EST. Please see our terms for use of feeds.